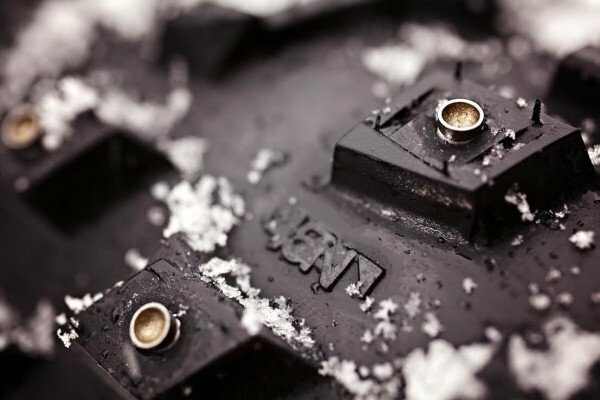 Get more traction and more miles in this Winter with the 45Nrth XL Concave Studs! Using the same two-piece construction method as the standard carbide-aluminum stud, this stud features a carbide tip with a concave shape on the crown. The concave crown creates a very sharp attack angle to the surface, resulting in an unparalleled amount of traction. Any wear that occurs to the carbide crown creates an even sharper edge - continuously augmenting acceleration, braking and cornering performance as it ages.